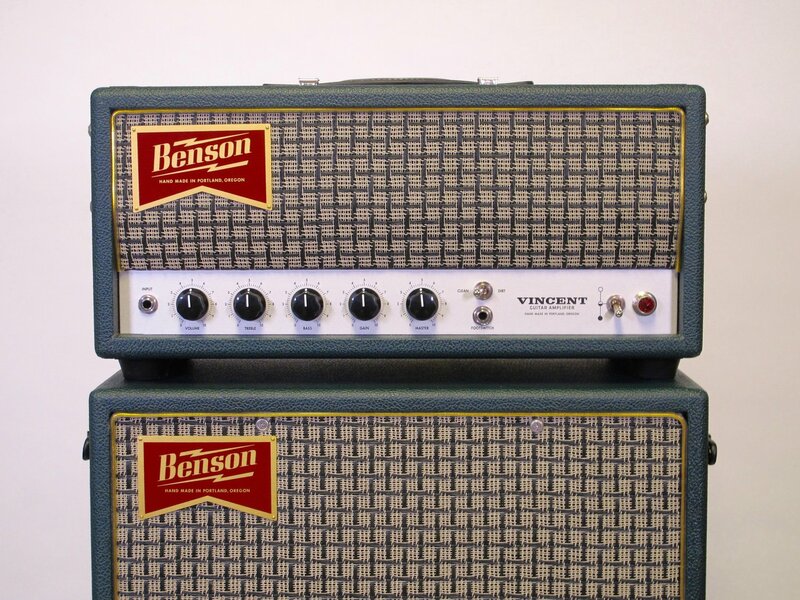 The Vincent is Benson’s first channel-switching offering…with a twist. Instead of a conventional tube preamp creating compression and distortion in the dirt channel, we installed the Vinny 1 Watt circuit for real power tube distortion in the preamp. The Vincent is Benson’s first channel-switching offering…with a twist. Instead of a conventional tube preamp creating compression and distortion in the dirt channel, we installed the Vinny 1 Watt circuit for real power tube distortion in the preamp. You really can have power tube grind at any volume now with zero compromise, complete with a killer clean channel and tube driven pedal level FX loop.